In Western culture, alternative medicine is any healing practice "that does not fall within the realm of conventional medicine", or "that which has not been shown consistently to be effective." Alternative medicine is often based on the belief that a particular health regimen has efficacious effects even while there exists various bodies of evidence to contradict such a belief under the rigorous standards of evidence based medicine. In practice, alternative medicine encompasses therapies with a historical or cultural, rather than a scientific, basis. Commonly cited examples include naturopathy, chiropractic, herbalism, traditional Chinese medicine, Unani, Ayurveda, meditation, yoga, biofeedback, hypnosis, homeopathy, acupuncture, and diet-based therapies, in addition to a range of other practices. It is frequently grouped with complementary medicine, which generally refers to the same interventions when used in conjunction with mainstream techniques, under the umbrella term complementary and alternative medicine, or CAM. Some significant researchers in alternative medicine oppose this grouping, preferring to emphasize differences of approach, but nevertheless use the term CAM, which has become standard. Alternative medicine practices are as diverse in their foundations as in their methodologies. Practices may incorporate or base themselves on traditional medicine, folk knowledge, spiritual beliefs, or newly conceived approaches to healing. Jurisdictions where alternative medical practices are sufficiently widespread may license and regulate them. The claims made by alternative medicine practitioners are generally not accepted by the medical community because evidence-based assessment of safety and efficacy is either not available or has not been performed for many of these practices. If scientific investigation establishes the safety and effectiveness of an alternative medical practice, whereupon it becomes mainstream medicine and is no longer "alternative", and will therefore become widely adopted by conventional practitioners. Because alternative techniques tend to lack evidence, some have advocated defining it as non-evidence based medicine, or not medicine at all. Some researchers state that the evidence-based approach to defining CAM is problematic because some CAM is tested, and research suggests that many mainstream medical techniques lack solid evidence. A 1998 systematic review of studies assessing its prevalence in 13 countries concluded that about 31% of cancer patients use some form of complementary and alternative medicine. Alternative medicine varies from country to country. Edzard Ernst believes that in Austria and Germany CAM is mainly in the hands of physicians, while some estimates suggest that at least half of American alternative practitioners are physicians. In Germany, herbs are tightly regulated, with half prescribed by doctors and covered by health insurance based on their Commission E legislation. "Complementary and Alternative Medicine (CAM) is a broad domain of resources that encompasses health systems, modalities, and practices and their accompanying theories and beliefs, other than those intrinsic to the dominant health system of a particular society or culture in a given historical period. CAM includes such resources perceived by their users as associated with positive health outcomes. Boundaries within CAM and between the CAM domain and the domain of the dominant system are not always sharp or fixed." "What are considered complementary or alternative practices in one country may be considered conventional medical practices in another. Therefore, our definition is broad and general: complementary medicine includes all such practices and ideas which are outside the domain of conventional medicine in several countries and defined by its users as preventing or treating illness, or promoting health and well-being. These practices complement mainstream medicine by 1) contributing to a common whole, 2) satisfying a demand not met by conventional practices, and 3) diversifying the conceptual framework of medicine." David M. Eisenberg defines it as "medical interventions not taught widely at US medical schools or generally available at US. hospitals," while Richard Dawkins sardonically defines it as a "set of practices which cannot be tested, refuse to be tested, or consistently fail tests." The term "alternative medicine" is generally used to describe practices used independently or in place of conventional medicine. The term "complementary medicine" is primarily used to describe practices used in conjunction with or to complement conventional medical treatments. NCCAM suggests "using aromatherapy therapy in which the scent of essential oils from flowers, herbs, and trees is inhaled in an attempt to promote health and well-being and to help lessen a patient's discomfort following surgery" as an example of complementary medicine. The terms "integrative" or "integrated medicine" indicate combinations of conventional and alternative medical treatments which have some scientific proof of efficacy; such practices are viewed by advocates as the best examples of complementary medicine. Ralph Snyderman and Andrew Weil state that "integrative medicine is not synonymous with complementary and alternative medicine. It has a far larger meaning and mission in that it calls for restoration of the focus of medicine on health and healing and emphasizes the centrality of the patient-physician relationship." The combination of orthodox and complementary medicine with an emphasis on prevention and lifestyle changes is known as integrated medicine. The Washington Post reports that a growing number of traditionally trained physicians practice integrative medicine, which it defines as "conventional medical care that incorporates strategies such as acupuncture, reiki and herbal remedies." Well-known proponents of evidence-based medicine, such as the Cochrane Collaboration and Edzard Ernst, Professor of Complementary Medicine at the University of Exeter , use the term alternative medicine but agree that all treatments, whether "mainstream" or "alternative", ought to be held to standards of the scientific method. Their view is that evidence-based medicine is an ideal state which has not yet been achieved by either current mainstream or alternative medicine. Ernst characterizes the evidence for many alternative techniques as weak, nonexistent, or negative, but states that compelling evidence exists for others, particularly certain herbs and acupuncture – although this evidence does not mean these treatments are mainstream, especially not worldwide. What is alternative varies by discipline as well and country. For example, biofeedback is commonly used within the Physical Medicine & Rehabilitation community, but is considered alternative within the medical community as a whole, and some herbal therapies are mainstream in Europe, but are alternative in the United States. According to the NCCAM, formerly unproven remedies may be incorporated into conventional medicine if they are shown to be safe and effective. Several scientists share this point of view and state that "[o]nce a treatment has been tested rigorously, it no longer matters whether it was considered alternative at the outset. If it is found to be reasonably safe and effective, it will be accepted." According to them it is possible for a method to change categories (proven vs. unproven) in either direction, based on increased knowledge of its effectiveness or lack thereof. Prominent proponents of this position are George D. Lundberg, former editor of the Journal of the American Medical Association (JAMA), and Phil B. Fontanarosa, Senior Editor of JAMA," Richard Dawkins, former Professor of the Public Understanding of Science at Oxford , Edzard Ernst and Simon Singh, and Stephen Barrett, founder and operator of Quackwatch, who argues that techniques currently labeled "alternative" should be reclassified as "genuine, experimental, or questionable. Genuine alternatives are comparable methods that have met science-based criteria for safety and effectiveness. Experimental alternatives are unproven but have a plausible rationale and are undergoing responsible investigation. ... Questionable alternatives are groundless and lack a scientifically plausible rationale. ... Blurring these distinctions enables promoters of quackery to argue that because some practices labeled "alternative" have merit, the rest deserve equal consideration and respect. Enough is known, however, to conclude that most questionable "alternatives" are worthless. Many CAM methods are criticized by the activist non-profit organization Quackwatch. M.R. Tonelli argues that CAM cannot be evidence-based unless the definition of evidence is changed. He states that "the methods of developing knowledge within CAM currently have limitations and are subject to bias and varied interpretation. CAM must develop and defend a rational and coherent method for assessing causality and efficacy, though not necessarily one based on the results of controlled clinical trials." Further, A review of Michael L. Millenson's book Demanding Medical Excellence: Doctors and Accountability in the Information Age described it as "a wake up call to both medicine and nursing" due to what Millenson calls a "lack of scientific-based medical practice". According to the review, the book states that "85% of current practice has not been scientifically validated" and that it suggests that users of the research presented by Medline should question research articles rather than assuming they are accurate simply because of where they are published. The review states that Millenson's thesis and conclusion call for all health researchers and policy makers to do a better job in assuring valid methodology and avoidance of bias in published research. Michael Dixon, the Director of the NHS Alliance stated that “People argue against complementary therapies on the basis of a lack of evidence. But I’d say only 10 per cent of what doctors do in primary care is evidence-based." Angell and Kassirer acknowledge that "many treatments used in conventional medicine have not been rigorously tested, either" but say that the scientific community is generally aware that this is a failing that needs to be remedied." Oxford University Press publishes a peer-reviewed journal entitled Evidence-based Complementary and Alternative Medicine (eCAM). Whole medical systems cut across more than one of the other groups; examples include Traditional Chinese medicine and Ayurveda. * Biofield therapies are intended to influence energy fields that purportedly surround and penetrate the body. No empirical evidence has been found to support the existence of the putative energy fields on which these therapies are predicated. * Bioelectromagnetic-based therapies use verifiable electromagnetic fields, such as pulsed fields, alternating-current or direct-current fields in an unconventional manner. Many people utilize mainstream medicine for diagnosis and basic information, while turning to alternatives for what they believe to be health-enhancing measures. Studies indicate that alternative approaches are often used in conjunction with conventional medicine. This is referred to by NCCAM as integrative medicine because it "combines treatments from conventional medicine and CAM for which there is some high-quality evidence of safety and effectiveness." According to Andrew T. Weil M.D., a leading proponent of integrative medicine, the principles of integrative medicine include: appropriate use of conventional and CAM methods; patient participation; promotion of health as well as treatment of disease; and a preference for natural, minimally-invasive methods. A 1997 survey found that 13.7% of respondents in the United States had sought the services of both a medical doctor and an alternative medicine practitioner. The same survey found that 96% of respondents who sought the services of an alternative medicine practitioner also sought the services of a medical doctor in the past 12 months. Medical doctors are often unaware of their patient's use of alternative medical treatments as only 38.5% of the patients alternative therapies were discussed with their medical doctor. Edzard Ernst, Professor of Complementary Medicine at the University of Exeter, wrote in the Medical Journal of Australia that "about half the general population in developed countries use complementary and alternative medicine (CAM)." Survey results released in May 2004 by the National Center for Complementary and Alternative Medicine, part of the United States National Institutes of Health , found that in 2002 62.1% of adults in the country had used some form of CAM in the past 12 months and 75% across lifespan (though these figure drop to 36.0% and 50% if prayer specifically for health reasons is excluded); this study included yoga, meditation, herbal treatments and the Atkins diet as CAM. Reasons people use CAM. NCCAM Another study suggests a similar figure of 40%. A British telephone survey by the BBC of 1209 adults in 1998 shows that around 20% of adults in Britain had used alternative medicine in the past 12 months. Ernst has been active politically on this issue as well, publicly requesting that Prince Charles recall two guides to alternative medicine published by the Foundation for Integrated Health, on the grounds that “[t]hey both contain numerous misleading and inaccurate claims concerning the supposed benefits of alternative medicine" and that "[t]he nation cannot be served by promoting ineffective and sometimes dangerous alternative treatments.” In general, he believes that CAM can and should be subjected to scientific testing. The use of alternative medicine in developed countries appears to be increasing. A 1998 study showed that the use of alternative medicine had risen from 33.8% in 1990 to 42.1% in 1997. In the United Kingdom, a 2000 report ordered by the House of Lords suggested that "...limited data seem to support the idea that CAM use in the United Kingdom is high and is increasing." In developing nations, access to essential medicines is severely restricted by lack of resources and poverty. Traditional remedies, often closely resembling or forming the basis for alternative remedies, may comprise primary health care or be integrated into the health care system. In Africa, traditional medicine is used for 80% of primary health care, and in developing nations as a whole over one third of the population lack access to essential medicines. Advocates of alternative medicine hold that the various alternative treatment methods are effective in treating a wide range of major and minor medical conditions, and that recently published research (such as Michalsen, 2003, Gonsalkorale 2003, and Berga 2003) proves the effectiveness of specific alternative treatments. They assert that a PubMed search revealed over 370,000 research papers classified as alternative medicine published in Medline-recognized journals since 1966 in the National Library of Medicine database. See also Kleijnen 1991, and Linde 1997. Complementary therapies are often used in palliative care or by practitioners attempting to manage chronic pain in patients. Complementary medicine is considered more acceptable in the interdisciplinary approach used in palliative care than in other areas of medicine. "From its early experiences of care for the dying, palliative care took for granted the necessity of placing patient values and lifestyle habits at the core of any design and delivery of quality care at the end of life. If the patient desired complementary therapies, and as long as such treatments provided additional support and did not endanger the patient, they were considered acceptable." The non-pharmacologic interventions of complementary medicine can employ mind-body interventions designed to "reduce pain and concomitant mood disturbance and increase quality of life." Physicians who practice complementary medicine usually discuss and advise patients as to available complementary therapies. Patients often express interest in mind-body complementary therapies because they offer a non-drug approach to treating some health conditions. Some mind-body techniques, such as cognitive-behavioral therapy, were once considered complementary medicine, but are now a part of conventional medicine in the United States. "Complementary medicine treatments used for pain include: acupuncture, low-level laser therapy, meditation, aroma therapy, Chinese medicine, dance therapy, music therapy, massage, herbalism, therapeutic touch, yoga, osteopathy, chiropractic, naturopathy, and homeopathy." In defining complementary medicine in the UK, the House of Lords Select Committee determined that the following therapies were the most often used to complement conventional medicine: Alexander technique, Aromatherapy, Bach and other flower remedies, Body work therapies including massage, Counselling stress therapies, hypnotherapy, Meditation, Reflexology, Shiatsu, Maharishi Ayurvedic medicine, Nutritional medicine, and Yoga. In 2004, a survey of nearly 1,400 U.S. hospitals found that more than one in four offered alternative and complementary therapies such as acupuncture, homeopathy, and massage therapy. A 2008 survey of US hospitals by Health Forum, a subsidiary of the American Hospital Association, found that more than 37 percent of responding hospitals indicated they offer one or more alternative medicine therapies, up from 26.5 percent in 2005. Additionally, hospitals in the southern Atlantic states were most likely to include CAM, followed by east north central states and those in the middle Atlantic. More than 70% of the hospitals offering CAM were in urban areas. The National Science Foundation has also conducted surveys of the popularity of alternative medicine. After describing the negative impact science fiction in the media has on public attitudes and understandings of pseudoscience, and defining alternative medicine as all treatments that have not been proven effective using scientific methods, as well as mentioning the concerns of individual scientists, organizations, and members of the science policymaking community, it commented that "nevertheless, the popularity of alternative medicine appears to be increasing. "National Science Foundation survey: Science and Technology: Public Attitudes and Public Understanding. Science Fiction and Pseudoscience. In the United States, increasing numbers of medical colleges have started offering courses in alternative medicine. For example, in three separate research surveys that surveyed 729 schools (125 medical schools offering an MD degree, 25 medical schools offering a Doctor of Osteopathic medicine degree, and 585 schools offering a nursing degree), 60% of the standard medical schools, 95% of osteopathic medical schools and 84.8% of the nursing schools teach some form of CAM. The University of Arizona College of Medicine offers a program in Integrative Medicine under the leadership of Andrew Weil that trains physicians in various branches of alternative medicine which "...neither rejects conventional medicine, nor embraces alternative practices uncritically." Accredited Naturopathic colleges and universities are also increasing in number and popularity in Canada and the USA. (See Naturopathic medical school in North America). In Connecticut, the University of Connecticut Medical School sponsors exposure to Ayurveda in periodic seminars and courses, for example, on mental health by a Yale affiliated medical doctor and psychiatrist (Ninivaggi, Frank John (2008). Ayurveda: A Comprehensive Guide to Traditional Indian Medicine for the West. Praeger Press: ISBN 0313348375). Similarly "unconventional medicine courses are widely represented at European universities. They cover a wide range of therapies. Many of them are used clinically. Research work is underway at several faculties," but "only 40% of the responding [European] universities were offering some form of CAM training." In contrast to unconventional schools in Britain, no conventional medical schools offer courses that teach the clinical practice of alternative medicine. The British Medical Acupuncture Society offers medical acupuncture certificates to doctors, as does the College of Naturopathic Medicine UK and Ireland. Due to the uncertain nature of various alternative therapies and the wide variety of claims different practitioners make, alternative medicine has been a source of vigorous debate, even over the definition of alternative medicine. Dietary supplements, their ingredients, safety, and claims, are a continual source of controversy. In some cases, political issues, mainstream medicine and alternative medicine all collide, such as the case where synthetic drugs are legal but the herbal sources of the same active chemical are banned. In other cases, controversy over mainstream medicine causes questions about the nature of a treatment, such as water fluoridation. Alternative medicine and mainstream medicine debates can also spill over into freedom of religion discussions, such as the right to decline lifesaving treatment for one's children because of religious beliefs. Government regulators continue to attempt to find a regulatory balance. "Furthermore, obligations to respect include a State's obligation to refrain from prohibiting or impeding traditional preventive care, healing practices and medicines, from marketing unsafe drugs and from applying coercive medical treatments, unless on an exceptional basis for the treatment of mental illness or the prevention and control of communicable diseases." Specific implementations of this article are left to member states. A number of alternative medicine advocates disagree with the restrictions of government agencies that approve medical treatments. In the United States, for example, critics say that the Food and Drug Administration's criteria for experimental evaluation methods impedes those seeking to bring useful and effective treatments and approaches to the public, and that their contributions and discoveries are unfairly dismissed, overlooked or suppressed. Alternative medicine providers recognize that health fraud occurs, and argue that it should be dealt with appropriately when it does, but that these restrictions should not extend to what they view as legitimate health care products. In New Zealand alternative medicine products are classified as food products, so there are no regulations or safety standards in place. The production of modern pharmaceuticals is strictly regulated to ensure that medicines contain a standardized quantity of active ingredients and are free from contamination. Alternative medicine products are not subject to the same governmental quality control standards, and consistency between doses can vary. This leads to uncertainty in the chemical content and biological activity of individual doses. This lack of oversight means that alternative health products are vulnerable to adulteration and contamination. This problem is magnified by international commerce, since different countries have different types and degrees of regulation. This can make it difficult for consumers to properly evaluate the risks and qualities of given products. Many alternative therapies have been tested with varying results. In 2003, a project funded by the CDC identified 208 condition-treatment pairs, of which 58% had been studied by at least one randomized controlled trial (RCT), and 23% had been assessed with a meta-analysis. According a 2005 book by a US Institute of Medicine panel, the number of RCTs focused on CAM has risen dramatically. The book cites Vickers (1998), who found that many of the CAM-related RCTs are in the Cochrane register, but 19% of these trials were not in MEDLINE, and 84% were in conventional medical journals. As of 2005 the Cochrane Library had 145 CAM-related Cochrane systematic reviews and 340 non-Cochrane systematic reviews. An analysis of the conclusions of only the 145 Cochrane reviews was done by two readers. In 83% of the cases, the readers agreed. In the 17% in which they disagreed, a third reader agreed with one of the initial readers to set a rating. These studies found that for CAM, 38.4% concluded positive effect or possibly positive (12.4%) effect, 4.8% concluded no effect, 0.69% concluded harmful effect, and 56.6% concluded insufficient evidence. An assessment of conventional treatments found that 41.3% concluded positive or possibly positive effect, 20% concluded no effect, 8.1% concluded net harmful effects, and 21.3% concluded insufficient evidence. However, the CAM review used the 2004 Cochrane database while the conventional review used the 1998 Cochrane database. Most alternative medical treatments are not patentable, which may lead to less research funded by the private sector. Additionally, in most countries alternative treatments (in contrast to pharmaceuticals) can be marketed without any proof of efficacy—also a disincentive for manufacturers to fund scientific research. Some have proposed adopting a prize system to reward medical research. However, public funding for research exists. Increasing the funding for research of alternative medicine techniques was the purpose of the US National Center for Complementary and Alternative Medicine. NCCAM and its predecessor, the Office of Alternative Medicine, have spent more than $1 billion on such research since 1992. Some skeptics of alternative practices say that a person may attribute symptomatic relief to an otherwise ineffective therapy due to the placebo effect, the natural recovery from or the cyclical nature of an illness (the regression fallacy), or the possibility that the person never originally had a true illness. Forms of alternative medicine that are biologically active can be dangerous even when used in conjunction with conventional medicine. Examples include immuno-augmentation therapy, shark cartilage, bioresonance therapy, oxygen and ozone therapies, insulin potentiation therapy. Some herbal remedies can cause dangerous interactions with chemotherapy drugs, radiation therapy or anesthetics during surgery, among other problems. An anecdotal example of these dangers was reported by Associate Professor Alastair MacLennan of Adelaide University, Australia regarding a patient who almost bled to death on the operating table after neglecting to mention that she had been taking "natural" potions to "build up her strength" before the operation, including a powerful anticoagulant that nearly caused her death. "And lastly there’s the cynicism and disappointment and depression that some patients get from going on from one alternative medicine to the next, and they find after three months the placebo effect wears off, and they’re disappointed and they move on to the next one, and they’re disappointed and disillusioned, and that can create depression and make the eventual treatment of the patient with anything effective difficult, because you may not get compliance, because they’ve seen the failure so often in the past". Conventional treatments are subjected to testing for undesired side-effects, whereas alternative treatments generally are not subjected to such testing at all. Any treatment — whether conventional or alternative — that has a biological or psychological effect on a patient may also have potentially dangerous biological or psychological side-effects. Attempts to refute this fact with regard to alternative treatments sometimes use the appeal to nature fallacy, i.e. "that which is natural cannot be harmful". An exception to the normal thinking regarding side-effects is Homeopathy. Since 1938 the U.S. Food and Drug Administration (FDA) has regulated homeopathic products in "several significantly different ways from other drugs." Homeopathic preparations, termed "remedies," are extremely dilute, often far beyond the point where a single molecule of the original active (and possibly toxic) ingredient is likely to remain. They are thus considered safe on that count, but "their products are exempt from good manufacturing practice requirements related to expiration dating and from finished product testing for identity and strength," and their alcohol concentration may be much higher than allowed in conventional drugs. Those who have experienced or perceived success with one alternative therapy for a minor ailment may be convinced of its efficacy and persuaded to extrapolate that success to some other alternative therapy for a more serious, possibly life-threatening illness. For this reason, critics argue that therapies that rely on the placebo effect to define success are very dangerous. According to mental health journalist Scott Lilienfeld in 2002, "unvalidated or scientifically unsupported mental health practices can lead individuals to forgo effective treatments" and refers to this as “opportunity cost.” Individuals who spend large amounts of time and money on ineffective treatments may be left with precious little of either, and may forfeit the opportunity to obtain treatments that could be more helpful. In short, even innocuous treatments can indirectly produce negative outcomes. White House Commission on Complementary and Alternative Medicine Policy, Chapter 2, March 2002. Ernst E. Complementary medicine: Common misconceptions. Journal of the Royal Society of Medicine 1995;88(5):244-247. Joyce CR . Placebo and complementary medicine. Lancet 1994;344(8932):1279-1281. Committee on the Use of Complementary and Alternative Medicine by the American Public. (2005). 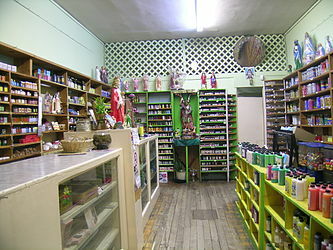 Complementary and Alternative Medicine in the United States. National Academies Press. Unconventional Medicine in the United States -- Prevalence, Costs, and Patterns of Use. Eisenberg D, et al. N Engl J Med 1993; 328:246-252. Mainstream Physicians Give Alternatives a Try. By Lori Aratani, Washington Post Staff Writer. Published June 9, 2009. Retrieved June 30, 2009. UK DOH. Complementary and alternative medicine. Integrative Medicine at University of Maryland School of Medicine. Retrieved 5 August 2006. Spiegel D, Lake J. (2006). Complementary and Alternative Medicine in Health Care. Park RL, Goodenough U: Buying snake oil with tax dollars. New York Times, January 3, 1996, A11. Alternative medicine meets science. Fontanarosa P.B., and Lundberg G.D. JAMA. 1998; 280: 1618-1619. A callous world. Richard Holloway. Book review Richard Dawkins A Devil's Chaplain. The Guardian, February 15, 2003. Heidi Dawley. Note to Prince Charles: 'You're wrong'. Book raises new doubts about alternative medicine. Media Life Magazine April 21, 2008. From interview with Edzard Ernst and Simon Singh: "For us, there is no such thing as alternative medicine. There is either medicine that is effective or not, medicine that is safe or not. So-called alternative therapies need to be assessed and then classified as good medicines or bogus medicines. Hopefully, in the future, the good medicines will be embraced within conventional medicine and the bogus medicines will be abandoned." The HealthWatch Award 2005: Prof. Edzard Ernst, Complementary medicine: the good the bad and the ugly.'.' Retrieved 5 August 2006. "Complementary medicine is diagnosis, treatment and/or prevention which complements mainstream medicine by contributing to a common whole, by satisfying a demand not met by orthodoxy or by diversifying the conceptual frameworks of medicine." Ernst et al. British General Practitioner 1995; 45:506. Simon Crompton, " Back to the future: Complementary therapies get real," Times Online, Times Newspapers Ltd., January 17, 2004. Lynette A. Menefee, Daniel A. Monti, Complementary Medicine-Mind-Body Techniques: Nonpharmacologic and Complementary Approaches to Cancer Pain Management, JAOA, Vol 105, No suppl_5, November 2005, 15-20. Glossary, Continuum Health Partners, 2005. House of Lords Select Committee on Science and Technology. 2000. Complementary and Alternative Medicine. London: The Stationery Office. Alternative Medicine Goes Mainstream CBS News. Published July 20, 2006. Retrieved June 13, 2009. Can Mainstream Medicine and Alternative Therapies Coexist? [http://www.cbmh.ca/index.php/cbmh/article/view/604/601 Book Review by Janice Dickin - Rennie B. Schoepflin; Christian Science on Trial: Religious Healing in America. Horrobin DF. (1986). Glittering prizes for research support. Nature Vol. 324, p. 221. Diamond, J. Snake Oil and Other Preoccupations, 2001, ISBN 0-09-942833-4 , foreword by Richard Dawkins reprinted in Dawkins, R., A Devil's Chaplain, 2003, ISBN 0-7538-1750-0 . Hand, Wayland D. 1980 "Folk Magical Medicine and Symbolism in the West", in Magical Medicine, Berkeley: University of California Press, pp. 305–319. Illich, Ivan. Limits to Medicine. Medical Nemesis: The expropriation of Health. Penguin Books, 1976. Mayo Clinic . Mayo Clinic Book of Alternative Medicine: The New Approach to Using the Best of Natural Therapies and Conventional Medicine, Parsippany, NJ: Time Inc Home Entertainment, 2007, ISBN 978-1933405926. Rosenfeld, Anna, Where Do Americans Go for Healthcare?, Case Western Reserve University, Cleveland, Ohio, US. Trivieri, Larry, Jr., and Anderson, John W. (editors). Alternative Medicine: The Definitive Guide, Berkeley: Ten Speed Press, 2002 ISBN 978-1587611414. Wisneski, Leonard A. and Lucy Anderson, The Scientific Basis of Integrative Medicine, CRC Press, 2005. ISBN 0-8493-2081-X. What's the harm? Website listing cases of people harmed by various alternative treatments.